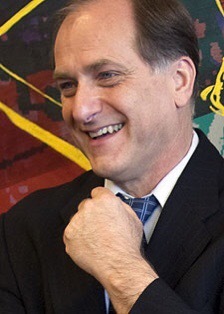 Rep. Michael Capuano has re-introduced legislation to establish a legal public holiday known as National First Responders Day on a date designated by the President. Rep. Capuano has been working with the family of Officer Sean Collier, who was killed in April of 2013 by those responsible for the tragic bombings at the Boston Marathon. This legislation was first filed in 2013. “When Officer Collier’s family first approached us with this request, they explained that they wanted the legislation to honor all of the men and women who have protected us over the years, not just about what happened in Boston. That is the reason we are leaving the choice of a date up to the President,” stated Congressman Capuano. First responders put their lives on the line every day. They enter burning buildings, pursue armed suspects and rush into danger without regard for their own safety. Seemingly routine calls can quickly turn dangerous. A simple patrol or a traffic stop can bring great peril. “The choice to become a first responder is about more than a career path, it is about choosing to dedicate one’s life to serving and protecting neighbors, community, and, often, complete strangers. They wake up every day, put on that uniform, not knowing if they will come home. These professionals and their families make great sacrifices in service to all of us. A day when we can recognize and thank these heroes both past and present such as National First Responders Day is a small way that we can just do that. We are grateful to Congressman Capuano, his staff, and his colleagues in Congress for their support,” stated the Collier family. The legislation, H.R. 5425, has been referred to the House Committee on Oversight and Government Reform.